The Roberto Coin Perfect Hoop collection comes up with yet another pair of earrings that are ideal. This 18kt white gold pair are shaped into delightful ovals, held in place with latch back closures. 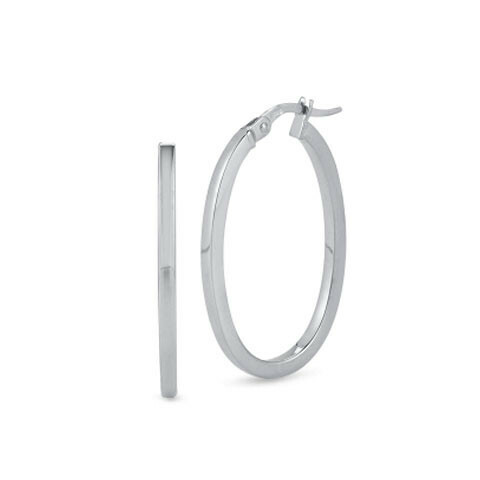 Any outfit will look great when paired with these Roberto Coin hoop earrings.